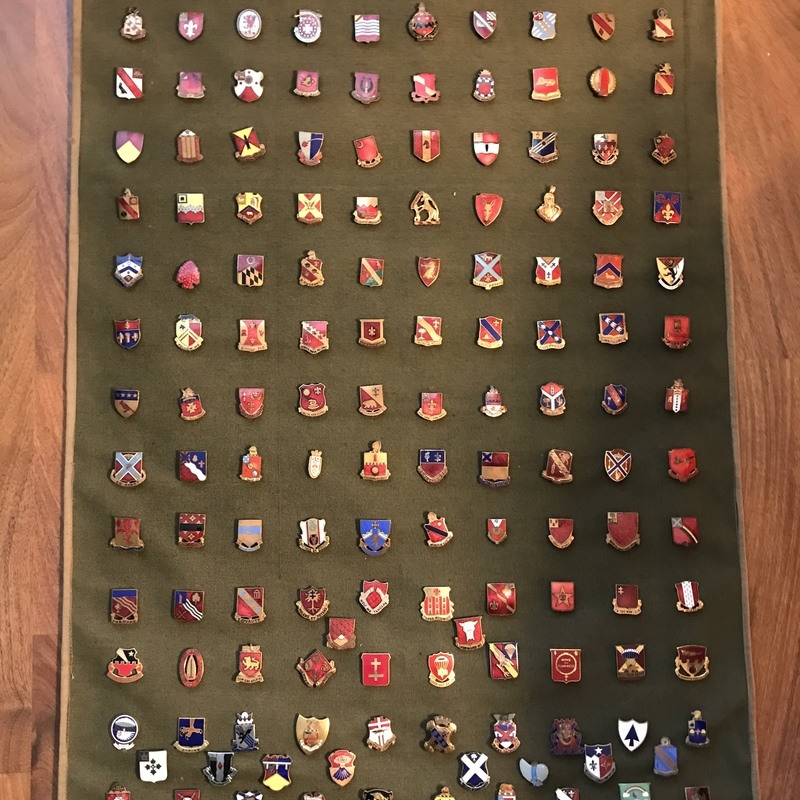 Unique Collection of insignia pins. Father served a 1st LT. in the 464 Airborne as a Paratrooper on WW 2. Mother made this unique collection that has been admired by collectors. Thank you for submitting your item for appraisal. This appears to be a mixed lot of Insignia pins and civil pins, dating to the 1930s and later. Typical manufacturers are Gemsco, A.M.Dondero, Washington or german or british manufacturers. These small enmaled coat of arms usually show a destinctive sign or colours and a motto, often in latin. This collection consists of approximately 170 pins, which if offered as one lot, would probably reach the low estimate at auction. If offered in several smaller sorted lots the result should be near the high estimate. The estimate is based on similar lots offered or sold at auction.